After the holidays are over, I always harbor a secret hope that the weather will change and be in the 70’s until spring. I think when the holidays end, it is time for the cold to be over too. Well, in East Tennessee we all know such hopes can be futile. 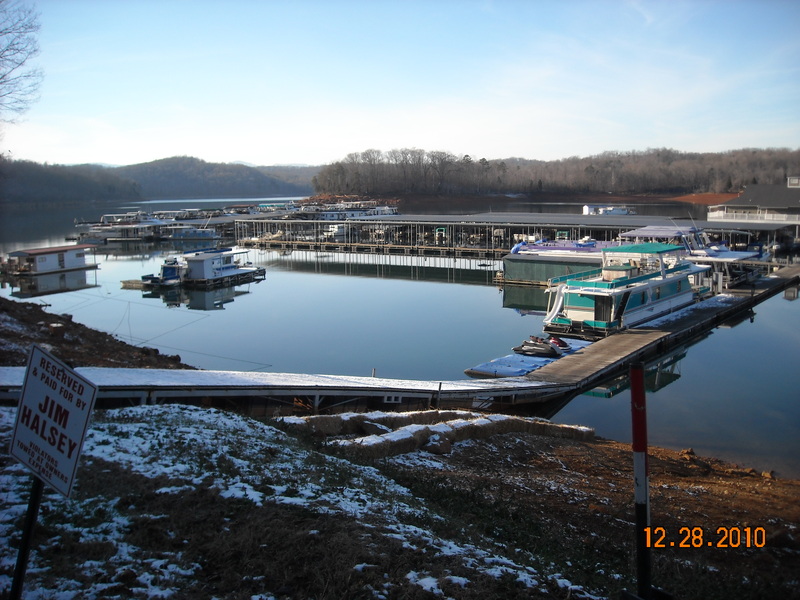 Since I must face these facts, I figure why not enjoy magnificent Norris Lake? When it snows here, lower water levels aside, the majestic lake is still a moving sight. The water clear and glistening as in summer yet it offers a much different feeling to me as the glistening snow winks in a familiar palette unlike the sun, yet equally inviting. I am calm, reflective, at peace. I am reminded, here at this place and time of the universe awakening to the dream of it’s own magnificence through this bounty of mountainous nature. When my schedule allows, I like to spend winter days on the houseboat. I love the stillness and serenity Norris Lake provides. Not many people want to brave the cold, and I often field questions such as “isn’t it too cold?” or, ‘what are you doing?” Sometimes I admittedly have similar questions as I’m hauling supplies, huffing and puffing frosty breath as my big, puffy coat hinders my mobility. There is just something so exhilarating about being here this time of year though. I feel like it is my private place. Where is everyone? It matters not at these times. I do see people from time to time drive down to the marina, but only a few have gotten out and ventured toward the water. Others park and linger in their toasty vehicles to look at the frigid water and enjoy the view for a time. I wonder if they are reflecting on their daily rushed lives and quietly feel a bit envious of those who live on the water full time. I can understand, I harbor a bit of a wistful jealousy myself, but I am here now and so grateful for this time. When I woke on the first morning, I bundled up in my puffy coat, hat, and gloves and walked around the marina. I sat on the dock, watching as early morning boaters angled their way quietly to the next great fishing spot. 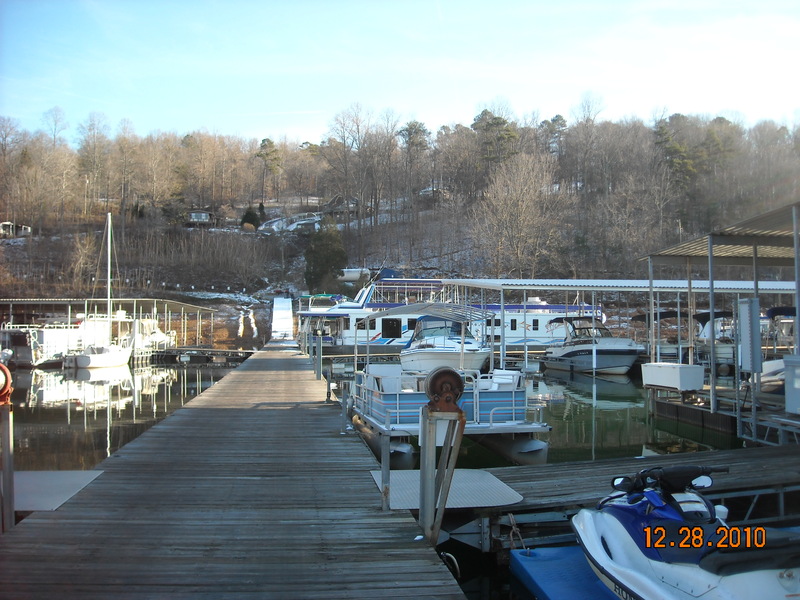 Avid fishers know that Norris is a premier spot for fishing year round. I spoke to a guide service for this area and he said people book packages all year, which keeps them working even through the winter season. I enjoy watching the snow lightly sprinkle and become a part of the lake’s vastness as I enjoy my breakfast. The water seems to welcome me warmly. The barren tree branches were peppered with snow, bearing the weight of the beautiful white bounty. The sun popped out a few times, giving the longer branches center stage to show their reflection over the clear, calm waters. What is so astonishing, is that I am enjoying a mere “drop in the lake” There so much more to explore and I look so forward to venturing to the next marina to see what they are doing over there. Being a novice to the whole ‘boat/dingy thingy’, the marina owner offered to drive me over the following afternoon. He said there is a good chance we will see the family of deer that live on the other side of this cove on our way over. I am overjoyed at the chance to see nature in its winter glory, excellent, and fair.